From 10 to 19 August, Oishii So Japan! is coming to Singapore at the Royal Plaza on Scotts. This dining promotion happening at Japanese restaurant Carousel will take diners on a complete tour on the cuisine from the land of the rising sun. Apart from the sumptuous buffet spread lined up with signature dishes like Ika Meshi (Boiled Squid with stuffed rice) and Umaki (Roasted Eel wrapped in Omelette) from guest chefs Tomoki Kogure and Kenko Kimura, diners will get to observe the famous Taiko Drum performance by the renowned MINDS Taiko Drum Troupe followed by a Japanese Tuna cutting ceremony where chef work their skill and art on an 80-kg blue-fin tuna with utmost care and skill. 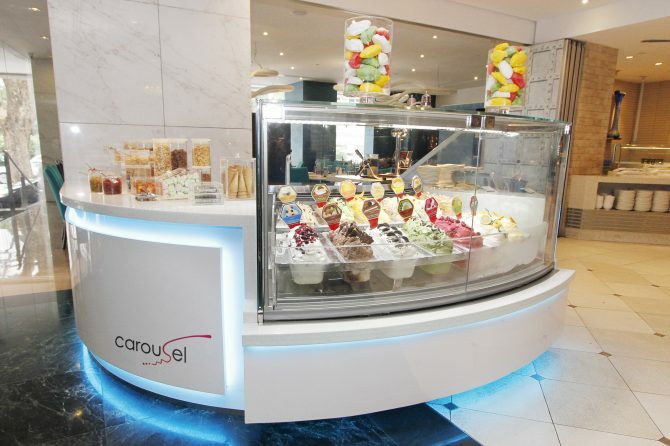 Do not forget to indulge in the multiple homemade ice-cream flavours at the premium dessert counter. With flavours like Mint Yuzu Matcha Adzuki with Raisin and Wasabi Cheese, complemented by condiments like meringues, fruit coulis and a variety of sauces, the combinations you can come up with is limitless. The buffet dinner at Carousel begins at 6.30pm each day and goes for $83 for adults and $49 for children.